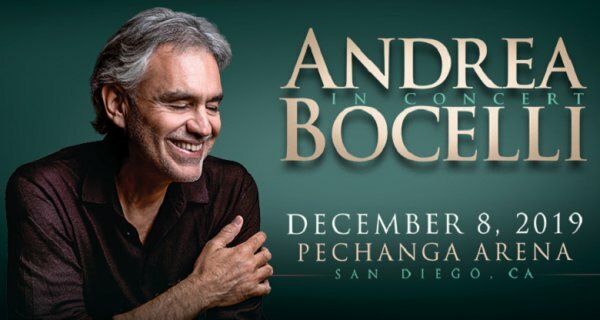 After his 2018 sold out performance, the world’s most beloved tenor, Andrea Bocelli, returns to Pechanga Arena San Diego on Sunday, December 8th at 7:30pm. Andrea Bocelli is the biggest-selling solo artist in the history of classical music, having sold more than 70 million albums over a 20-year career. Tickets are on sale now at AXS.com.